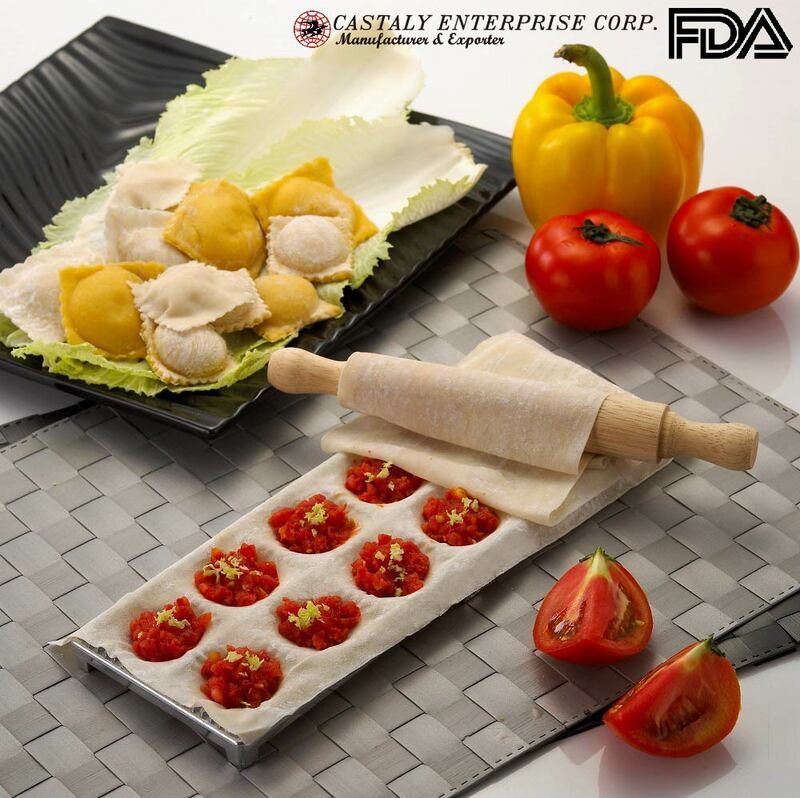 Why Choose Our Ravioli Maker? 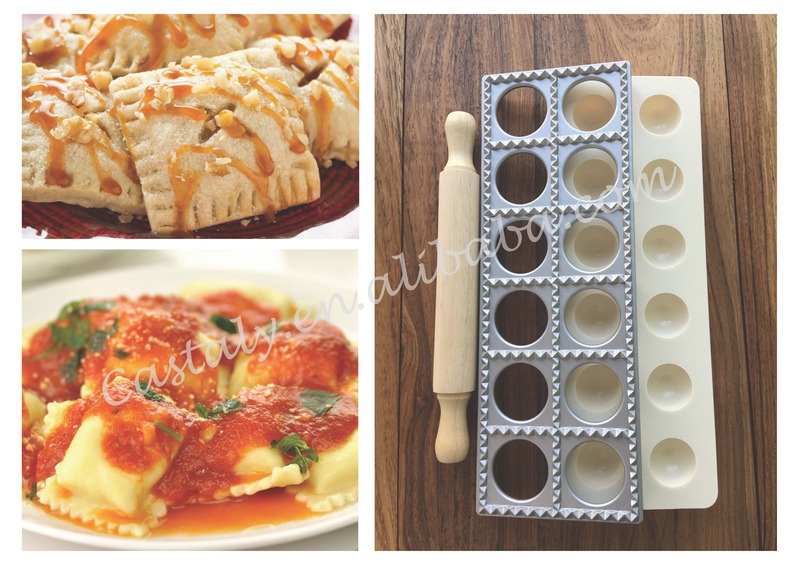 Enjoy using an eco-friendly and food-grade pasta maker. An essential kitchen gadget for all pasta chefs and pasta lover. Made of sturdy aluminum with food grade non-stick coating. Rubber feet added to protect countertops. With plastic ABS depression mold. 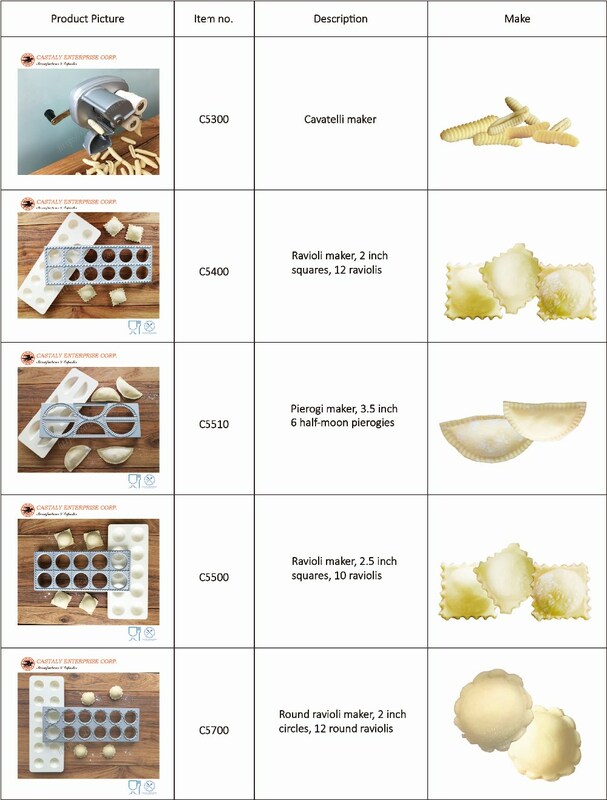 Effectively and quickly cut and seal authentic homemade 12 squares of ravioli. Make your ravioli pasta without electricity which is good for the environment. 1. Lay a sheet of dough over the metal "cut and seal" plate. 2. Gently press the 2ed "form plate" on top to create pockets. 3. Fill pockets with stuffing. 5. Ravioli is perfectly cut and sealed! 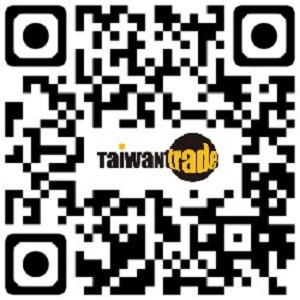 We are specialized in manufacturing and exporting of kitchen gadgets in Taiwan for over 30 years. We believe our quality and price is satisfying. If you are interested in our products, or need any further information, please feel free to contact us. Mr.Tony Chen , CASTALY ENTERPRISE CORP.